Shiro Waki Hime @ Whitening Armpits in 30 Seconds! I think some of you must have already planned your beach vacation for this year. #yes? #no? Well, I maybe will do one when my girl friend from Kuching come to visit me by end of August. We are thinking of travelling locally; so if you have any good suggestions, please do leave me your comments. Anyhow, do you have any special preparation that you will prepare before going on the beach vacation? Other than bringing along sunscreen with you, I think removing hairs on your armpits, legs and bikini lines is another important thing to do, right ladies?! And, have you ever thought of whitening your armpits can be one important thing to do as well? Probably many of us wouldn't realize this until you really look into it. So for today's beauty post, I am going to show you how to whitening your armpits in 30 seconds with the Shiro Waki Hime from Japan. I googled the meaning of Shiro Waki Hime and I found it's actually means White Armpit Princess in Japanese. It is a product from Japan, which is an underarm exfoliating and brightening cream. It includes all 4 functions in 1 tube which are #1 dirt absorption, #2 peeling, #3 whitening and #4 moisturizing. This product has the ingredients of clay and malic acid to cleanse the clogged pores. The white coating effect is by Titanium Oxide; a safe ingredient that acts as a foundation which can be removed when you take a shower. The high moisturizing effect contains 6 kinds of Hyaluronic acid and Squalane which help to brighten your skin with inconspicuous pores. In 30 seconds, your skin will reveal brighter, cleaner and smoother! #1 Apply small amount (beans size) on the armpits. #2 Wait for 10 seconds so that the clay component absorb dirt and dead skin. #3 Gently massage to remove dirt and dead skin. #4 When the dirt comes off, remove or wash it off with water. Not sure if you can see the effect well from the picture. #1 My skin is brighter. #2 I can feel my skin is clean, softer and smoother. #3 It doesn't have any strong peeling smell like the other exfoliation products I used before. I find the smell is more like the lotion smell. #4 No irritation, itchiness, or redness after I used it on my skin. 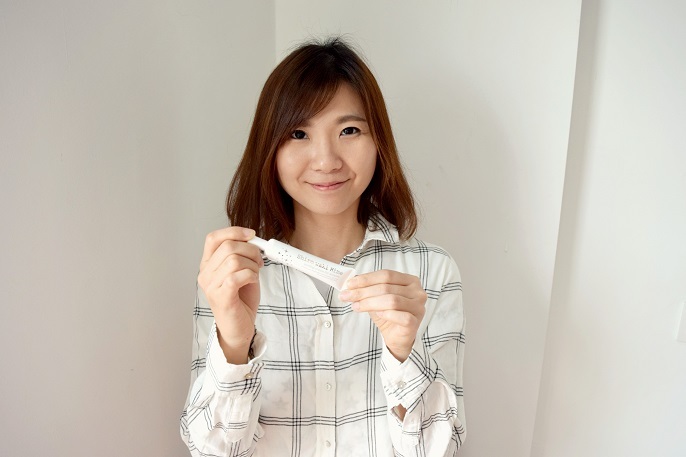 You can now get the Shiro Waki Hime at Tokyoninki which is a website that bringing in only high quality and exciting Japanese health and beauty products to Malaysia market. They are now doing special promotion at buy 2 @ RM99 instead of buy 1 @ RM59. So babes out there, no fear of sleeveless clothes anymore! Faster grab one Shiro Waki Hime for your summer holiday!